Photo 085. Adolf Hitler Inspecting the Bismarck. 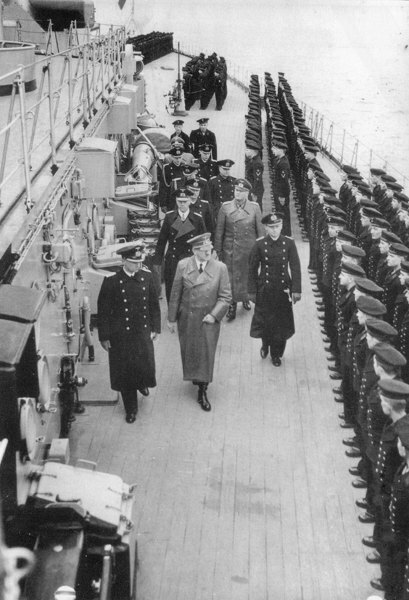 Adolf Hitler inspecting Bismarck's crew on 5 May 1941. To his right is Captain Lindemann, and behind Admiral Lütjens and Field Marshal Wilhelm Keitel can be indentified.